Clouds lift Tuesday to reveal a snow-covered Engineer Mountain north of Durango. October is off to a good start for precipitation in drought-stricken Southwest Colorado. 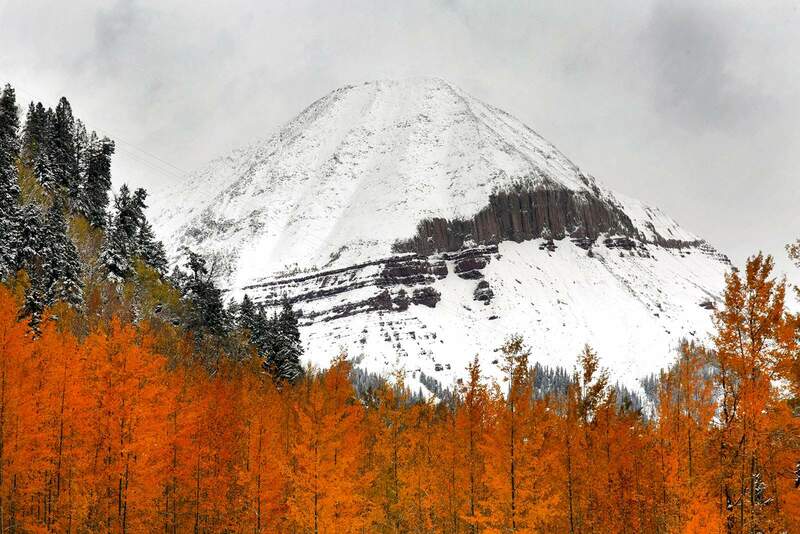 After a summer of drought, fires and above-average temperatures, a welcomed sight has returned to Southwest Colorado: snow. And to top it off, Wolf Creek Ski Area plans to open this weekend. Across the San Juan Mountains, a storm system that entered the region earlier this week has brought snow to the high county and rain to lower elevations, breaking months of dry and hot weather. As of 5:30 p.m. Thursday, chain laws were in effect on Wolf Creek Pass. Wolf Creek Ski Area reported about 27 inches of snow as of Thursday at its summit elevation of 11,904 feet and 21 inches at mid-elevation. As a result, Wolf Creek Ski area will open Saturday and Sunday, though the ski area is still deciding what portions of the mountain will be open and what the price of admission will be. Kim Oyler, spokeswoman for Purgatory Resort, said the mountain north of Durango reported 10 inches of snow as of Wednesday afternoon. The ski resort plans to start snow-making as conditions permit in anticipation of its planned Nov. 17 opening. Calls to Jen Brill, co-owner of Silverton Mountain, were not returned for this story. Charnick said it is too early to calculate snow totals for the region. Another part of the storm system dropped more moisture Thursday. Conditions are expected to dry out by Friday morning. October is already off to a good start bringing precipitation to Southwest Colorado, which has been in an extreme drought since the spring. A weather station at the Durango-La Plata County Airport has recorded 1.54 inches of rain so far in October. Still, the region is far below historic averages for the year. The same weather station has recorded just 5.71 inches since Jan. 1 – nearly 7 inches below normal. Already, the positive effects of this recent storm are being felt. The Animas River, for instance, was reaching historic low flows as a result of the prolonged drought in the month of September. But, Animas River flows have nearly doubled this week. As a result of the increased water in the Animas, a planned release out of Lake Nighthorse to send water down to New Mexico to fill the city of Farmington’s reservoir was canceled. This week’s storm was a result of a weather pattern that brought cold air from the north and moisture from the Pacific, Charnick said. Charnick said it looks like this weekend and early next week will dry out. The next chance for precipitation is expected to be next week, starting Wednesday.